Cuban Beef Stew is a simple dish. 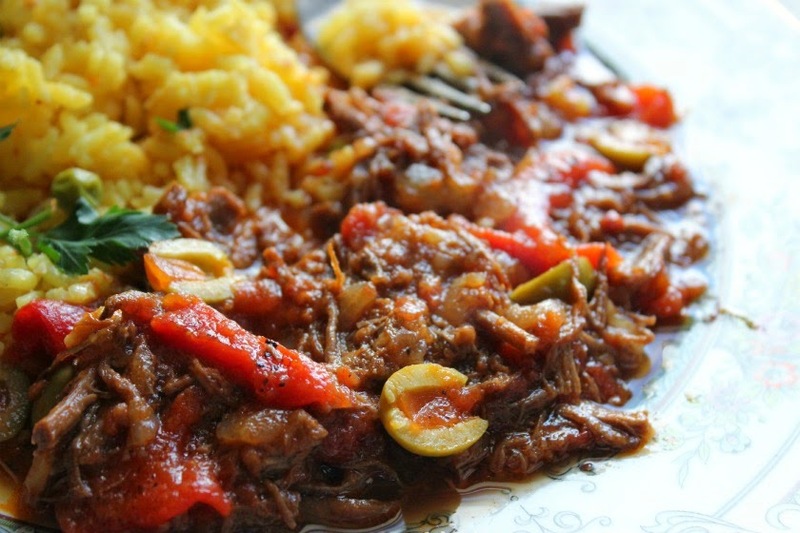 Shredded beef, peppers and onions that are braised in a deeply flavored tomato sauce with olives, garlic, cumin and oregano. 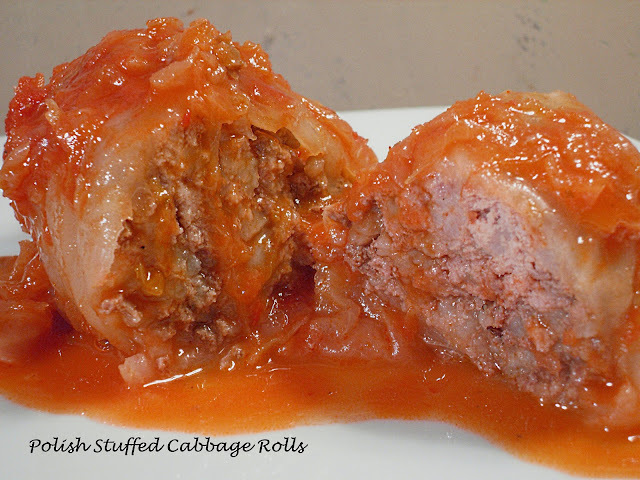 I first had this dish over at my neighbors house and I just fell in love with the flavors. This dish can also be made in the slow-cooker or braised on top of the stove - so there is no excuse not to make this! Pat beef dry with paper towels and season with salt and pepper. Heat 1 Tbsp. oil in pressure-cooker pot over medium high heat until just smoking. Brown half of meat on both sides, about 8 minutes. Transfer to bowl. Heat remaining 1 Tbsp. oil in empty pot over medium heat. Add onions and cook until softened, about 5 minutes. Stir in garlic, oregano, cumin and pepper flakes and cook until fragrant, about 1 minute. Stir in broth. Scrape up all browned bits stuck on bottom of pot. Stir in tomatoes, olives, browned beef and any juices and remaining unbrowned beef. Lock pressure-cooker lid in place and bring to high pressure. Reduce heat to medium-low and cook for 25 minutes. Remove pot from heat and allow pressure to release naturally for 15 minutes. Release any remaining pressure. Transfer beef to cutting board, let cool slightly, then shred meat into bite-size pieces. Return to pressure cooker. Stir in peppers, parsley, vinegar and sugar. Season with salt and pepper. Lock pressure cooker lid, return to high pressure and cook an additional 15 minutes. Serve with yellow or white rice. 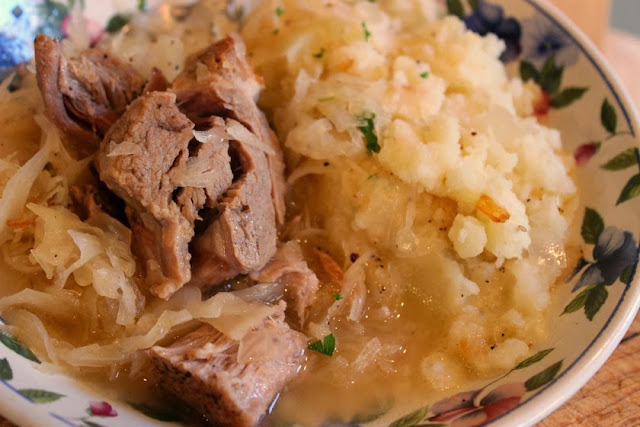 Crock Pot - 4 hours on HIGH or 8 hours on LOW. Brown beef as directed above and add remaining ingredients to Crock Pot. I love the flavors of Cuba. Your dish looks great. Mmm I tried this recipe yesterday and it turned out great. Beef just goes so well with spices. Thanks! Made it tonight! I actually added some of the juice from the spanish olives for more flavor! Super yummy! Compliments from the whole table. Thanks for sharing/creating our new family favorite! Thanks so much! Love the addition of the olive juice! I made this last night with my new Instant Pot. It was as good as any Ropa Vieja I've ever tasted. Delicious! Thank you! Made this the other day. Of course, I used "cooks license" for a few modifications. It was excellent. I finished the leftovers for lunch today. One issue, however. At the end of the recipe it states "...return to high pressure and cook an additional 15 minutes." Should a quick release be used or a natural or a combination? At the end of 25 minutes I could hardly get the meat out in one piece. So, when I added the meat and the other ingredients back in I only cooked it for eight minutes and 4 min npr and then a qr. Turned out great. 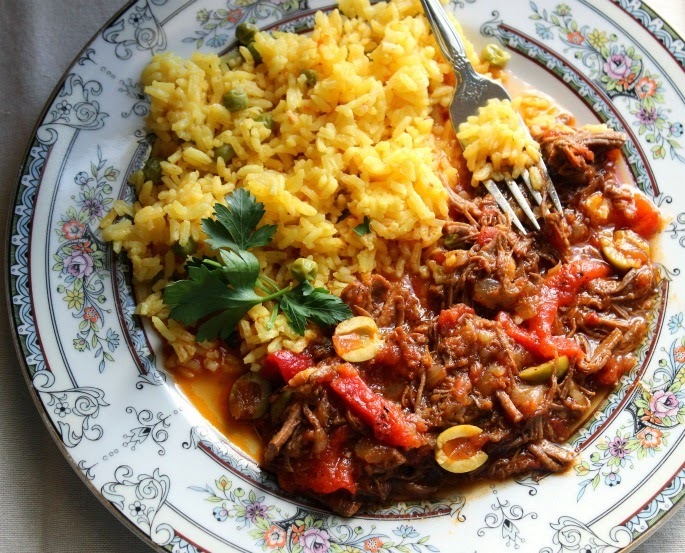 BEST Ropa Vieja recipe yet! Thanks!